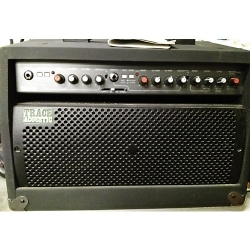 Trace Acoustic Amp TA35CR • Trace acoustic, 90's era, amplifier by Trace Elliot Limited, manufactured in England. This feature rich amp allows you to get the best performance you can. • Two integrated channels each with a selectable impedance to match the Piezo or Active pickups output of your acoustic guitar.- A "Phase" button to move from "Normal" to "Reverse" can be helpful reducing feedback.- Tone controls are ugmented by a switchable and adjustable Notch Filter provides a cut of very narrow frequency bands that assist with feedback and removing boomy resonance peaks. 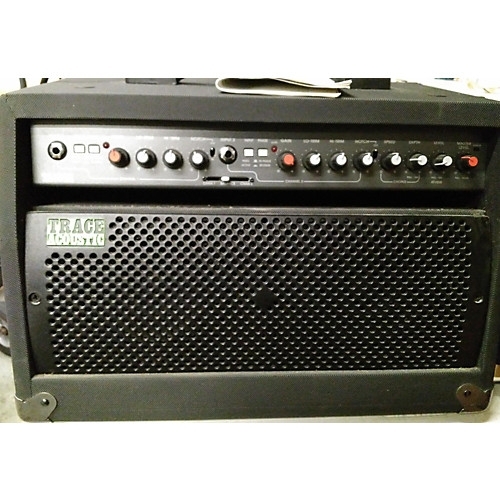 • A 35-watt amp drives two 5" speakers utilizing "Dynamic Correction".- A "Balance" slider allows mixing of both channels together, handy for a piezo and microphone dual setup.- Reverb controls "Tone" / Level" and "Master Volume" control complete the front.